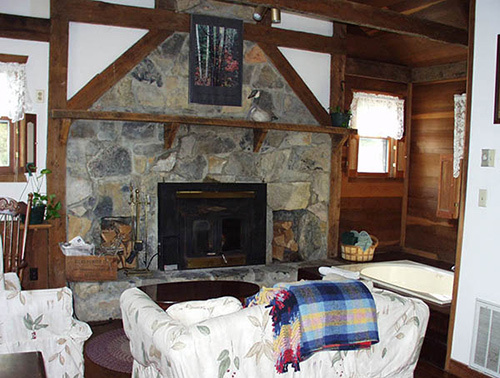 A premier vacation log home on the wonderful Tye River. View the pools and Crabtree Falls from a private island in backyard. 3 miles from the Blue Ridge Parkway. Our goal at the Osceola Mill is to provide our guests with a memorable and relaxing stay. In our rooms, all modern amenities have been provided for your comfort and convenience. The 6 acres of grounds including cascading creek, nature paths, and the historic old mill set the stage for walks and relaxation. The evening can culminate with an elegant but casual dinner served inthe mill stone dining room or beneath the stars on our deck. In the morning, your stay includes a Premier Candlelight Breakfast.